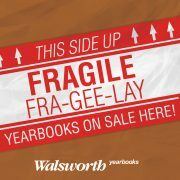 See how Walsworth can help warm up your yearbook sales during the holidays with marketing templates, memes, coverage ideas and more. 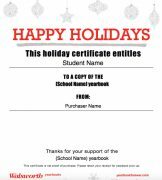 A yearbook gift certificate makes a perfect stocking stuffer. Sell them to parents! The holidays means relaxing with family and friends, but it also provides plenty of great story opportunities. The Monday after Thanksgiving has become one of the biggest sales days of the year. Promote online sales of your yearbook! Have some fun, and promote your yearbook sales, using our fun collection of holiday-themed memes. Looking for ways to keep the staff motivated during the holidays? Find out how some veteran advisers do it. The holidays can be a time where your yearbook staff learns to give back to the community. Keep the work flowing smoothly, even as winter break approaches, using these yearbook room tips. If you run a holiday sale, make it even more appealing by using our new online coupon code feature. 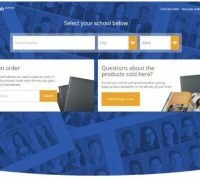 Need even more yearbook marketing tips? Walsworth’s own Mike Taylor, CJE, and adviser Kathy Beers offer some in the “How do I market my yearbook?” episode of the Ask Mike podcast. Take a listen. 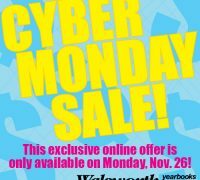 Ready to send your own emails, promoting holiday yearbook sales? You’re in luck. Use this editable email template to get started. Would you like more ideas on how to warm up your yearbook sales? We love helping new advisers feel more confident. You have yearbook friends who are just an email away. Contact us at marketingyearbooks@walsworth.com.